They did it!! 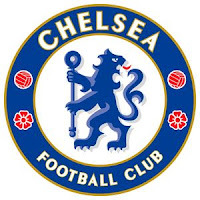 One of my favorite teams in the Champions League (Chelsea) had won with a SWEEP!! Chelsea took a 3 against 0 win against Olympiakos, but before that, they need to go over a goal less first leg match in during the final phase's knock out rounds last Mrch 5, 2008 at Stamford Bridge - London. But in the second leg, Chelsea's striker Michael Ballack headed a decent cross Frank Lampard which gave them the lead(1-0) for as early as 5 minutes. The next goal was sent in by Lampard on the 25th minute(2-0). Then just 3 minutes after the half time break, Solomon Kalou extended Chelsea's lead (3-0) and sealed in Chelsea's victory against Olympiakos. Though attempts were made by the opposing team to score, they still got dominated by the determined Chelsea team.